Does your sleep problem involve waking up in the middle of the night once or several times and then trouble falling back to sleep? 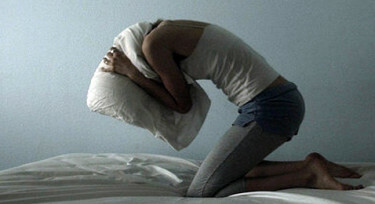 Sleep maintenance insomnia is actually the most common form of insomnia, and it’s more common as people age. Here’s a quick review of the possible causes and what can be done. Age-related degeneration of neurons connected with the body clock. This results in weaker circadian rhythms, declining levels of melatonin (a hormone helpful to sleep), and more frequent shifts between sleep and waking. Health problems involving chronic pain. A higher rate of “cyclic alternating patterns”—repetitive brainwave patterns that occur during non-REM, or quiet, sleep, which cause your sleep to become less stable. I’ll start by describing a behavioral strategy that may be helpful and then move on to medication. Consolidate your sleep by reducing your time in bed. This is one key aim of Sleep Restriction Therapy, which I’ve blogged about many times. Simply delay your bedtime for an hour or more while continuing to get up at the same time every morning. Research suggests that the increased sleep pressure that builds up when you postpone bedtime will cut down on wake-ups at night. This strategy is known to work for adults of all ages. If you suspect that a lack of melatonin is involved, you could ask your doctor about testing for melatonin deficiency (blood, urine, or saliva tests will work). You could also buy a test kit online, collect a sample and send it away to a lab yourself (I don’t, however, have information on the reliability of these labs). If your middle-of-the-night wake-ups are related to a melatonin deficiency, my blog on Melatonin Replacement Therapy describes the treatment options that exist–none perfect. Many doctors frown on the nightly use of hypnotics. Although the FDA has approved a few of them for use without short-term restriction (Lunesta and Ambien CR, for example), concerns about side effects and the potential of these sleeping pills to cause drowsiness in the morning make physicians leery of prescribing them. This is especially true for older patients, whose bodies process drugs more slowly and who are thus more likely to experience unwanted effects. Silenor. This low-dose formulation of doxepin is the single antidepressant drug that has been approved by the FDA for the treatment of sleep maintenance insomnia. Controlled studies have shown that it cuts down on nighttime wake-ups. The brand-name drug is expensive; generic doxepin is chemically identical and will work just as well . . . if it does work. Trazodone. This sedating antidepressant was the best-selling drug for insomnia until the turn of the 21st century (and may now enjoy renewed popularity). 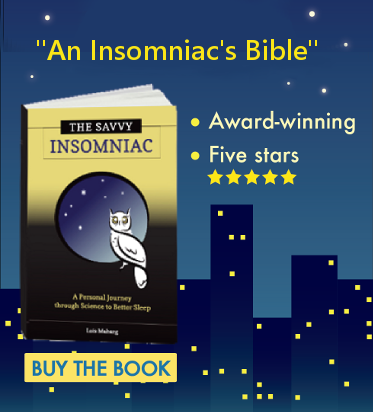 The few short-term studies of the drug as a treatment for insomnia suggest that low doses (100 mg or less) cut down on wake time in the middle of the night. See my blog on trazodone for details. Seroquel and Klonopin. See my blog on Off-Label Meds for Insomnia for information on these drugs. Here I’ll offer an addendum: the fact that these drugs are now available as generics (and therefore inexpensive) makes it unlikely that they’ll ever be tested for efficacy in treating insomnia. They may be effective for sleep maintenance insomnia—but any evidence now is based on observation only. One last note on medication for middle-of-the-night awakeners: The sleeping pill zaleplon (a.k.a. Sonata) has not been approved for use in the middle of the night. But it has a very short half-life (1 hour) and tests are under way to evaluate the safety of middle-of-the-night dosing. A new study shows that while Ambien CR taken at bedtime interfered with the consolidation of memories at night, 10 mg of zaleplon taken in the middle of the night did not. 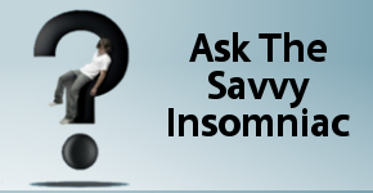 Other studies have shown no residual grogginess in insomniacs at 4 hours after taking zaleplon. The drug may be an option for those looking to get back to sleep more quickly. If you have sleep maintenance insomnia, what strategies and medications have you tried, and have they worked?